A great many websites are run using a trio of services: Apache, MySQL, and PHP. It is a tried and tested combination which works phenomenally well, most of the time. Usually, to gain access to this trifecta, you need to purchase web hosting. The web hosting runs on a remote server that is highly likely running some form of Linux. However, wouldn’t it be easier if you could bring the service trio to your computer to run locally? A WAMP server does just this. Read on to find out how to set up a WAMP server on your Windows 10 machine. First thing first: what is a WAMP server? WAMP stands for Windows Apache, MySQL, and PHP. Compare this to LAMP (Linux Apache, MySQL, and PHP) or MAMP (Mac Apache, MySQL, and PHP). Apache, MySQL, and PHP are all available for individual download. Each service has a Windows installer. 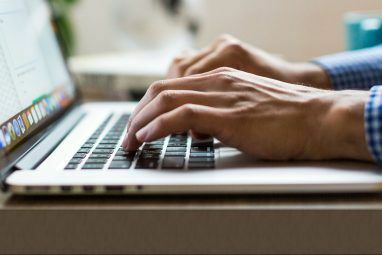 (How to install MySQL on Windows 10 How to Install a MySQL Database on Windows How to Install a MySQL Database on Windows If you often write applications that connect to database servers, it's nice if you know how to install a MySQL database on your Windows machine for testing purposes. Read More explains more) However, you then have to configure each service. And while countless tutorials show you exactly how to do this, a WAMP server automates a decent proportion of the configuration. For the rest of the article, I’ll talk about WampServer, the official installation. Using WampServer is often the fastest and easier way. Plus, it has a lot of online support, too. Let’s set it up! Head to the official WampServer site and download the latest version for your operating system type (32 or 64-bit) At the time of writing, WampServer 3 includes Apache 2.4, MySQL 5.7, and PHP 5.6. When the download completes, run the installer. The installer makes it clear that you should not install WampServer over an existing version. The default installer options should suffice for most users, but you must install WampServer in the root of the directory (e.g. C:\wamp or C:\wamp64). I would recommend changing the default browser to something more modern than internet Explorer. Similarly, if you want to select a different Notepad option, go ahead. Please note that WampServer does not work on FAT32 or exFAT drive partitions. It only works on an NTFS drive. Also, WampServer 3 will not run on Windows XP because it uses Apache 2.4.X as well as requiring Microsoft Visual C/C++ Redistributable 2015 (VC14). When the installation process completes, you can launch WampServer. When you first run it, you’ll spot a black command window. It will only flash on your screen for a few seconds, before disappearing. When the Windows Firewall notification appears, allow WampServer to connect using your private network. Your next port of call is the system icon tray where WampServer is lurking. Head to the tray. If the WampServer icon is green, your WampServer services are active and ready for use. If the icon is red or orange, it means something on your system is interfering with WampServer. The best course of action is to restart your system, then open WampServer again. Skype is known to interfere with WampServer, as are some games that use Port 80 to communicate with the internet. From here you can access tools such as phpinfo and phpMyAdmin, as well as the official Apache and PHP documentation. Furthermore, when you create a new project, it will appear on this homepage under Your Projects. The same goes for Your Aliases, but these are for your project databases. Now to make your first WampServer project. In the following example, you will install WordPress to WampServer for local access. Create a blank MySQL database for your new site. Select phpMyAdmin from the WampServer http://localhost page. The default username is root, and there is no password (you can fix this in a moment—even though its local, you should still keep security practices). After logging in, select Databases from the menu bar. Enter a name for your database, and press Create. Next, install WordPress. If you left the WampServer installation to its default settings, you will find your project folder at C:\wamp\www or C:\wamp64\www. Head to the www folder, then right-click and select New > Folder from the context menu. 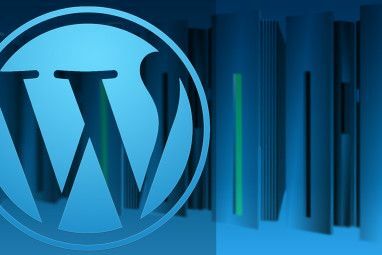 Name the folder “WordPress.” Download the latest version of WordPress and extract the contents of the archive into the wamp\www\WordPress\ folder. Now to check if the WordPress installation is working. All being well, you will reach the Run the installation screen. From here, you fill in your website information, after which you can access your WordPress dashboard using the Log in button. Congratulations! 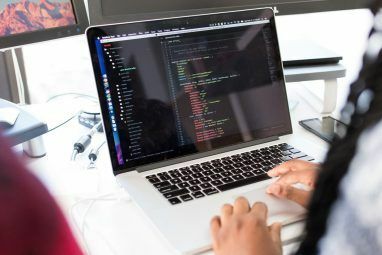 You just finished creating your first WampServer project using WordPress. However, if you want another project, check our our tutorial on how to host a WordPress site on a Raspberry Pi How to Host a WordPress Site on Raspberry Pi How to Host a WordPress Site on Raspberry Pi Want to host your own WordPress site on Raspberry Pi? Here's how to get started by installing LAMP and WordPress. Read More (using a LAMP server). WampServer is highly customizable depending on your requirements. Depending on the type of program you attempt to install on WampServer, you may require additional extensions that are not loaded by default. WampServer has a long list of pre-installed PHP settings and scripts 5 Best Free PHP Script Resources Online 5 Best Free PHP Script Resources Online Even if you don't use them as-is, you can always use scripts from the following PHP script resources as scaffolds for your own code or as learning tools to better understand PHP Read More for you to choose from. Head to the WampServer tray icon, then to PHP > PHP Extensions, and make your selection. You can customize your Apache settings from the same WampServer tray icon, such as custom and pre-installed modules, which alias you are working with, the Apache version (if you have multiple installed), and more. One of the first MySQL changes to make is to add a password to your root account. You’re not at immediate risk because your site is local, but it is better to change this right now, so you don’t forget. And let’s face it, security is serious, and you’d be a fool not to add a password, just in case. You have now set a password for your root account. Now you are up and running, you can really start playing around with installations, custom settings, and more. Or simply get to know MySQL, Apache, and PHP better, through trial and error. 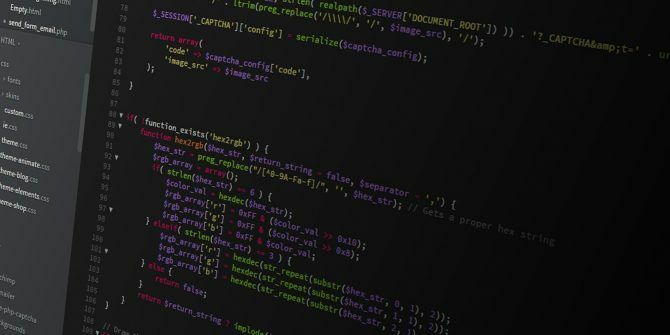 Alternatively, check out our list of the most important SQL commands 13 Most Important SQL Commands Any Programmer Should Know 13 Most Important SQL Commands Any Programmer Should Know Every big or dynamic website uses a database in some way, and when combined with Structured Query Language (SQL), the possibilities for manipulating data really are endless. Read More for any programmer worth their salt. Explore more about: Apache Server, PHP Programming, SQL, Web Hosting, Web Server. As a follow-up, how would you setup the server so that an outside computer could access the URL? You mean to remote access the localhost?